The Battlefield in a Box Essentials range features woods, rivers, hills and other universal outdoor elements suitable for almost any environment, no matter what your game system. It combines perfectly with all of the other ranges to give your tabletop battlefields unlimited variety. 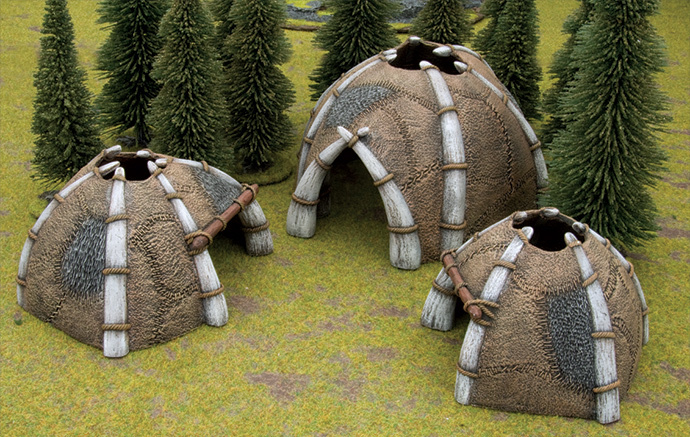 From the majestic ruins of ancient civilisations, to savage huts crudely stitched from hides, to tall, elegant towers of the elves, the fantasy terrain range is tailor-made for any high fantasy setting that uses 25-35mm miniatures. 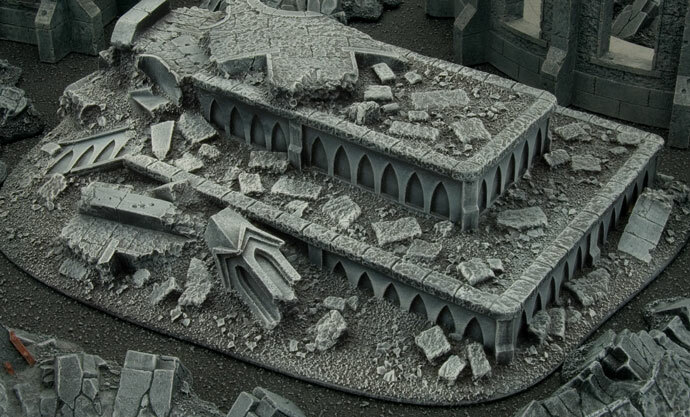 The Gothic terrain range includes a variety of damaged walls, pillars, monuments and other architectural features. Arched windows, ribbed columns and stolid buttresses prevail, evoking a grand, Romaneque city environment that has been wracked by the horrors of war. 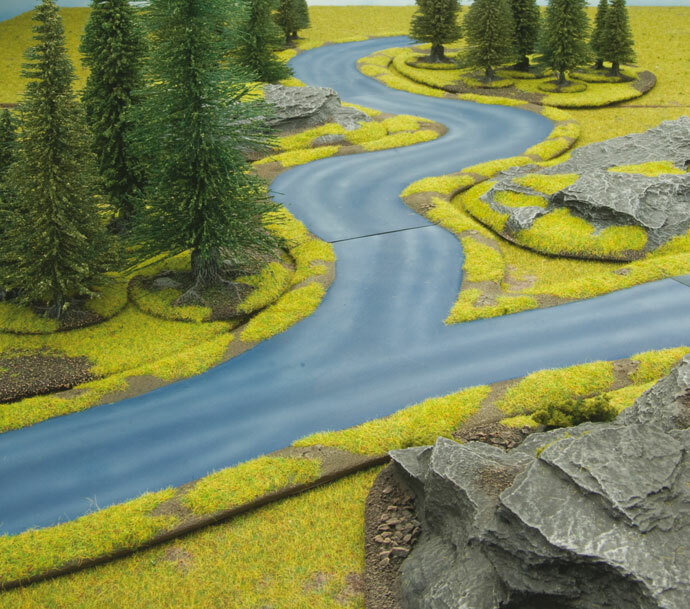 The Flames Of War terrain range includes all the buildings, roads, railways, bridges and fortifications you need to bring your battlefields to life for the World War II miniatures game. Designed for use with 15mm/1:100 scale miniatures. 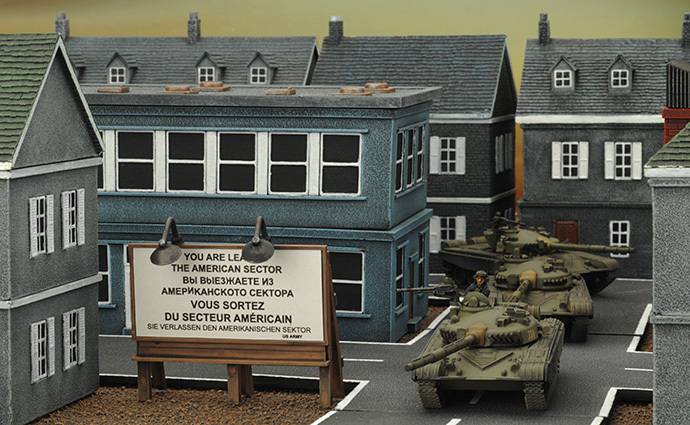 The Team Yankee range combines perfectly with the Flames Of War range, adding modern roads and buildings to update your battlefield for the more contemporary setting of World War III in the 1980s.